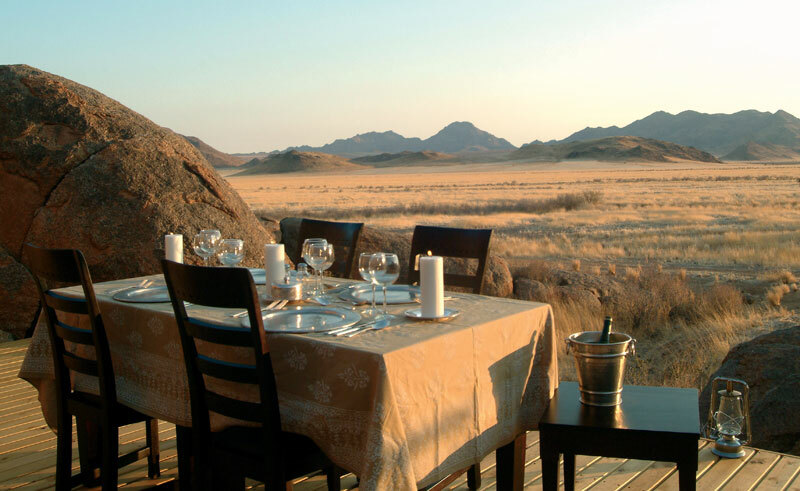 The most intimate and exclusive of the Wolwedans properties, Wolwedans Boulders Safari Camp features just four chalets. 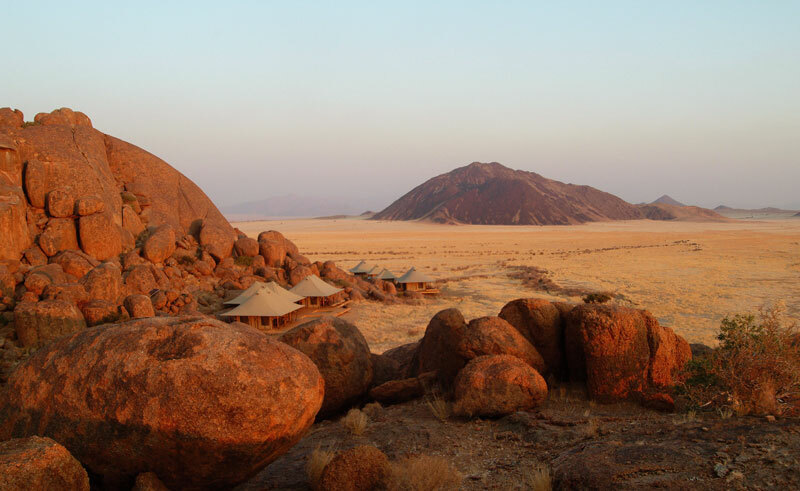 Boulders Safari Camp is located in the southern part of the NamibRand Nature Reserve hugged by massive granite rocks. To get here, you arrive at reception from where you join a scenic 4WD transfer through the reserve, lasting approximately two hours, to get to the camp. The dining room has a sociable, communal dining table, and if the weather permits, there is an outside dining area. Breakfast is eaten on the breakfast deck, and there is an open fireplace for those cold winter nights. Relax in the small swimming pool and enjoy a sundowner from the top of a mountainous rock plateau near the lodge delivering epic views of the reserve. Each spacious en-suite tent has a decorative four-poster bed, with fitted mosquito net, and a small dressing table. 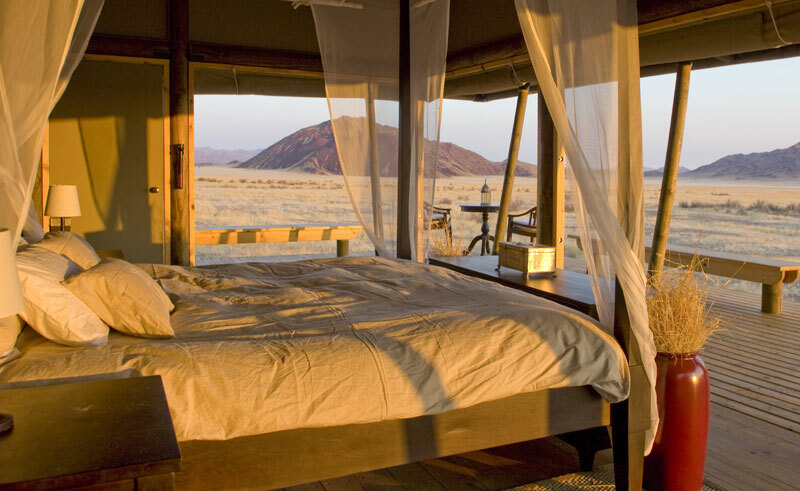 From the chalets, you can experience the vast beauty of the NamibRand Nature Reserve.